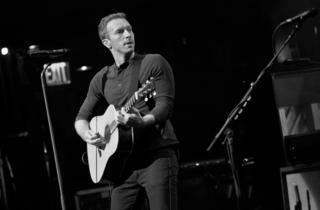 Photograph: Michael J. Chen Coldplay performs at the Beacon Theatre on May 5, 2014. It may have been said back in 2000, but Coldplay never quite shook off the sharp critique Creation Records boss Alan McGee made at the start of their career—that they wrote ‘bedwetter’s music’. 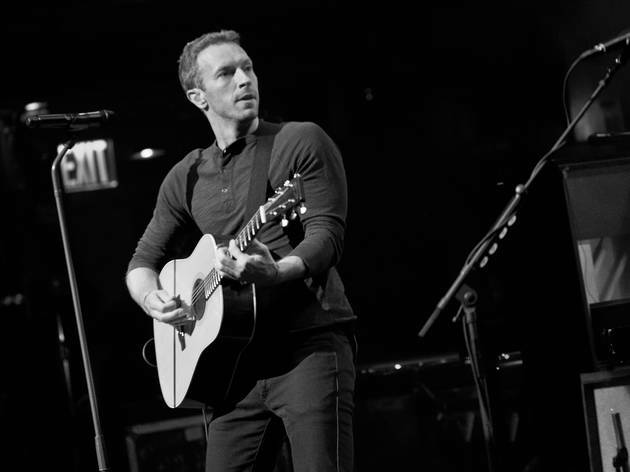 After Chris Martin’s divorce (sorry, ‘conscious uncoupling’) from wife Gwyneth Paltrow, however, that figurative bed is now soaked in an altogether more emotional human discharge: tears. Sad though any divorce is, it’s reasonable for music fans to hope that heartbreak might inspire greatness. Dylan, Lennon, Gaye and Fleetwood Mac, to name just a few, all turned splits into hits. Yet, on an awkward, unremarkable missed opportunity of a record, Chris Martin has soundtracked heartbreak the way he would a car advert. Weighing in at a scant 40 minutes, the tone of Ghost Stories is electronic and plodding, not guitary and surging. Forget the idea of Coldplay writing for stadiums – this is the sound of a band restraining themselves and desperately holding it in. Take the heavy use of vocoder on single ‘Midnight’ – a stark barrier between his brain and ours. Then there’s Martin’s piano playing, once robust and anthemic (as on 2002’s ‘Clocks’), and now just faint and ambient, as the chill-out tinkles on ‘Another’s Arms’ show. A deeper problem, though, is context. Coldplay’s global success to date has hinged on stirring emotions with sonic rushes to the head, but set to lyrics so bland that listeners could legitimately own their songs for themselves, and impart their unique emotions onto them. Yet given the scale of his celebrity and the column inches devoted to the death of his marriage, it’s impossible to hear lines like ‘All I know, is that I love you so’ and not wonder if he’s specifically talking about the star of Iron Man 3 or not. It shouldn’t matter, but it damages Coldplay’s standing as an everyman band and makes listening to their sixth album an uncomfortable exercise in celebrity rubbernecking. It’s not all terrible. ‘Magic’ has undeniable soul, while closing tune ‘O’ is impressively weepy. However, the only person who’ll be haunted by Ghost Stories is Martin himself—for failing to let heartbreak inspire him to, well, just say something at last.